Very comfortable and spacious. Ideal for long journeys. High quality interior with seven seats as standard. Well equipped as standard. It may look like a lot like its standard namesake, but the Tiguan Allspace is a much considerably bigger SUV. And that gives it the space to offer one key difference - seven seats. 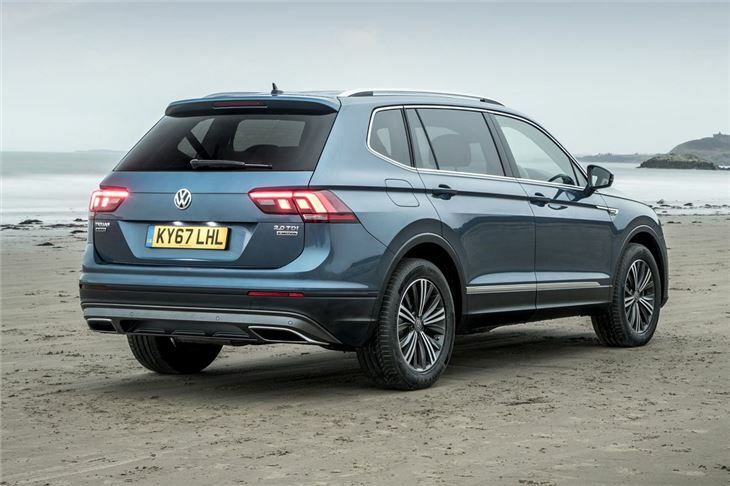 That's something even the bigger Touareg can't match - in fact, this is Volkswagen's only seven-seat SUV. Essentially this is Volkswagen's version of the Skoda Kodiaq and has many of the same features. The rear seats can be folded into the floor when not needed and it has the same 700 litres of boot space. 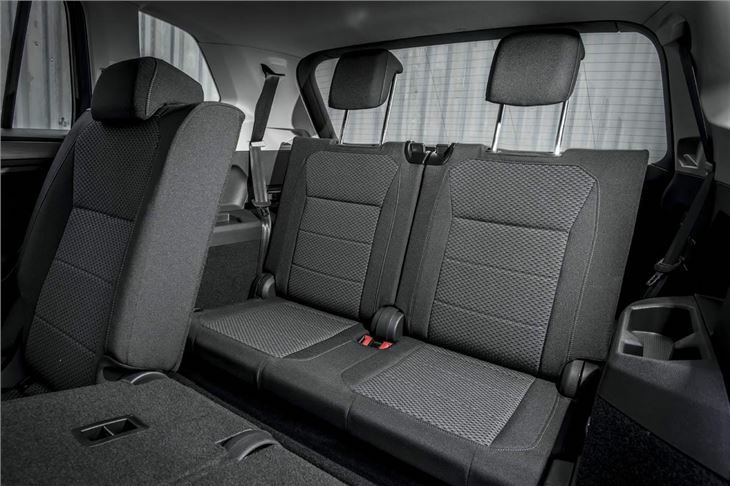 Like the Skoda, what the Allspace does so well is to offer comfort and space. Lots of space. As you'd expect of a big SUV, there are no problems with headroom and in the back there's acres of legroom. The extra row of seats is actually pretty decent too, although as with most seven-seaters of this kind, best for 'occassional' use. 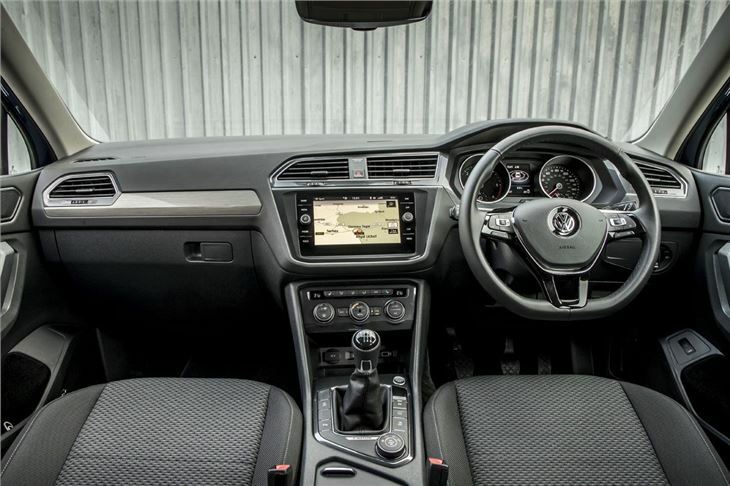 The interior has the usual Volkswagen hallmarks of quality and user-friendliness. Yes it's all a bit grey and dull, but everything works as it should and it's all intuitive. The infotainment system is Volkswagen's next-generation Discover Pro system which is bright, clear and easy to operate. All models get navigation as standard too. 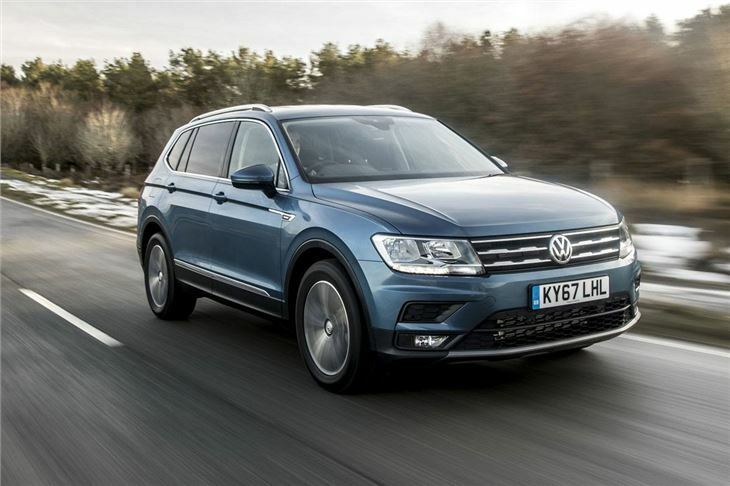 Driving the Tiguan Allspace is best described as 'undemanding'. There's little to get excited about here, but then that's the case with the majority of large SUVs this size. Instead you can view it as enjoyably relaxing - it goes about its business with the minimum of fuss. The engine range is your usual Volkswagen stuff. So most on the roads are the 2.0 TDI which, while not quiet, suits the Tiguan well. We'd avoid the DSG with the 150 version as it can be quite hesitant, but there are no issues with the manual gearbox. If you're not doing big mileages there's the 1.4 TSI with two-wheel drive or a 2.0 TSI 4Motion - although the latter of which will prove pretty thirsty. 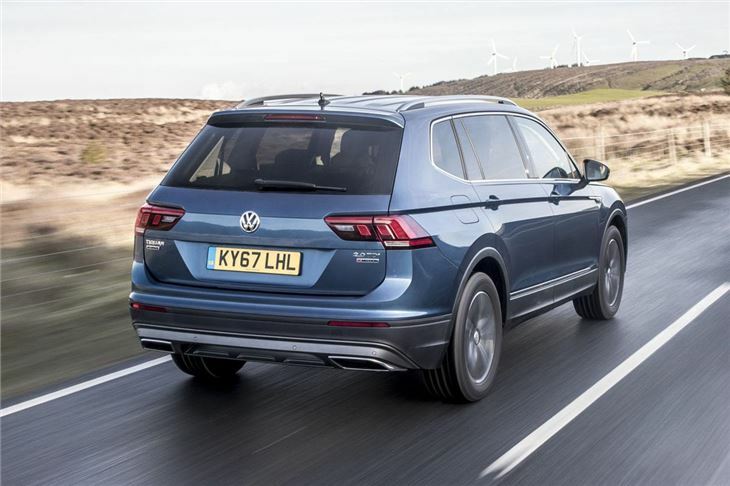 If you want to tow with your Tiguan Allspace, the top 2.0 TDI 240 4Motion can pull a braked trailer of 2500kg maximum, while the lower powered 4Motion versions of the same engine can pull 2400kg. You can also get Trailer Assist as an option (it's part of an £800 package) which lets you steer using the mirror adjustment switch - it sounds odd, but it's more intuitive than using the steering wheel. 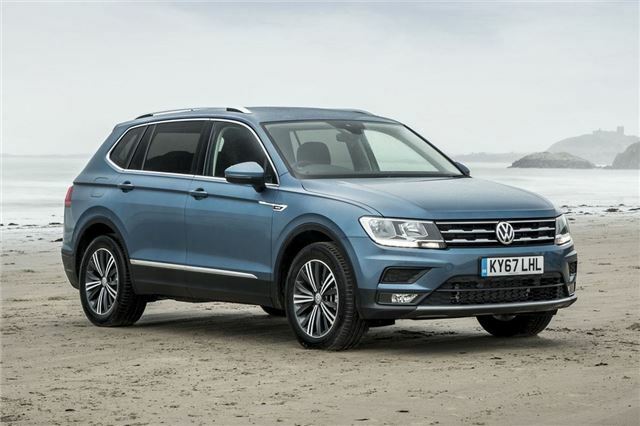 With list prices starting at around £30,000, the Tiguan is reasonably competitive with the seven-seat SUV competition. An equivalent Kodiaq is a few hundred pounds cheaper, although the Allspace can't match a similarly equipped Peugeot 5008 on price. 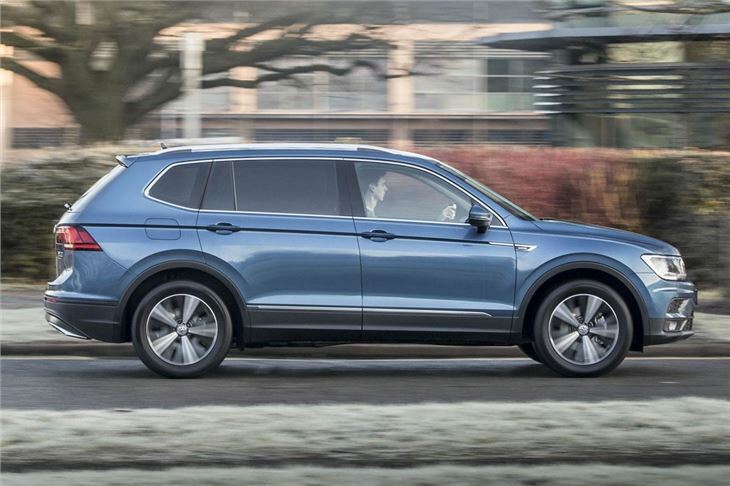 If comfort and practicality are your key concerns in an SUV - and you want something with an upmarket feel - the Tiguan Allspace is likely to tick all the right boxes.